The folks a Paramount Pictures released a trailer for "Dora And The Lost City Of Gold" that stars Isabela Moner ("Transformers: The Last Knight," "Sicario: Day of the Soldado," and "Instant Family"), Eugenio Derbez (2018's "Overboard," "How To Be A Latin Lover," and "Geostorm"), Michael Peña ("American Hustle," "Crash," "Shooter," "Narcos: Mexico" and "Ant-Man And The Wasp") , Eva Longoria ("Desperate Housewives," "Harsh Times," "The Sentinel," and "In A World"), Danny Trejo ("Blood In Blood Out," "Mi Vida Loca," "Desperado," "From Dusk Till Dawn," "Machete," "Heat" and "La Llorona") as the voice of Boots the Changito (translation-little monkey), and Benicio Del Torro ("Sicario," "Traffic," "The Usual Suspects," "Guardians of the Galaxy," "Avengers Infinity War" and "Sicario: Day of the Soldado") will be voicing Swiper. "Having spent most of her life exploring the jungle with her parents, nothing could prepare Dora (Isabela Moner) for her most dangerous adventure ever – High School. 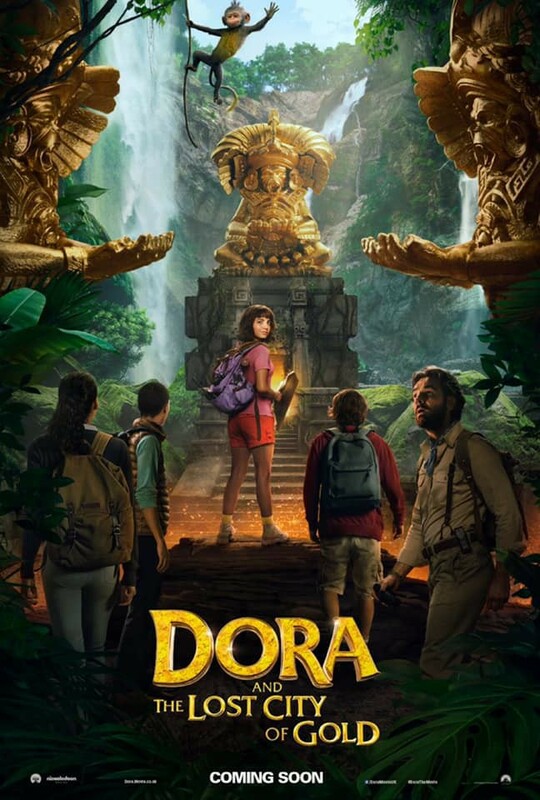 Always the explorer, Dora quickly finds herself leading Boots (her best friend, a monkey), Diego (Jeffrey Wahlberg), a mysterious jungle inhabitant (Eugenio Derbez), and a ragtag group of teens on a live-action adventure to save her parents (Eva Longoria, Michael Peña) and solve the impossible mystery behind a lost city of gold." Here is the trailer for "Dora And The Lost City Of Gold." "Dora And The Lost City Of Gold" will be exploring theaters on August 2. How do all of you out there in the vastness of the web feel about the trailer? Will you be taking your little munchkins to see it?